The Oceana County Fair is held annually at the Oceana County Fairgrounds in Hart. The five-day event features fun and exciting events at the end of summer. Area youth show off the animals they raised in the livestock barns. The Exhibition Halls house the creative exhibits produced by all ages. 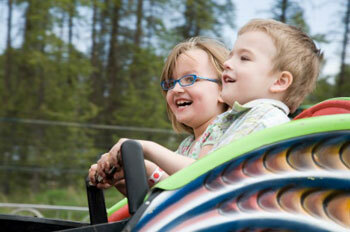 Thrilling fun can be found on the midway and at the exciting events at the grandstand. 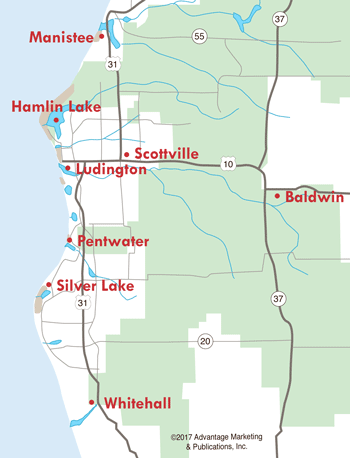 The Oceana County Fairgrounds is located just two miles off the US-31 expressway (exit 134), at 1025 State Street in Hart. Gate Admission is generally $3 for adults, $1 for Children ages 5-12, and free for kids under 5. Parking is free and regular fair hours are 9am-11pm daily. Midway and Rides are by Elliot Amusements. Special armband prices allow attendees to ride from midway opening to close each day. Commercial Buildings are open from Noon-10pm daily. 8am - English Performance classes, infield arena. 10am - Rabbit $-H & Open Showmanship, rabbit & poultry barn. 1pm - Harness Horese Racing, grandstand (free admission). 12pm-3pm - Open Music Jam, Fair Office/Commercial Building).